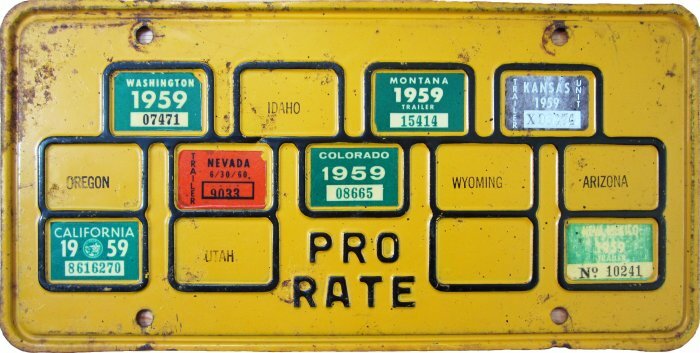 Prior to 1957 most trucks traveling in interstate commerce were required to buy license plates from every state through which they traveled, even if they were not making pickups or deliveries in those states, and no matter how little time they spent on the state’s roads. As a consequence, these vehicles paid multiple registration fees with little to show for it, and had multiple license plates plastered all over them. 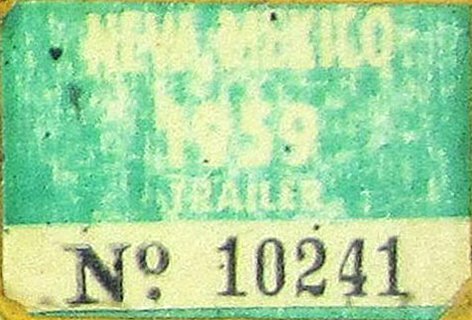 The stickers applied to the backing plates carried designations as to the type of vehicle licensed. 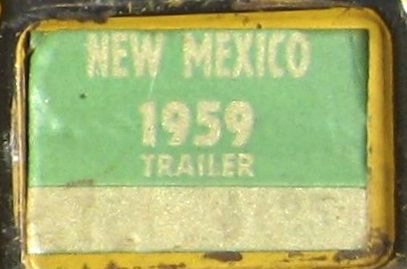 As the technical name for the “truck” or “power unit” pulling a trailer is “tractor” (hence, the term “tractor-trailer”), their stickers were typically imprinted “TRACTOR” or “POWER.” Stickers for trailers and semi-trailers were imprinted “TRAILER.” Sometimes, but not always, the word “PRORATE” was printed on the sticker as well. See also Prorate Truck & Prorate Trailer, Trailer and Rental Trailer. 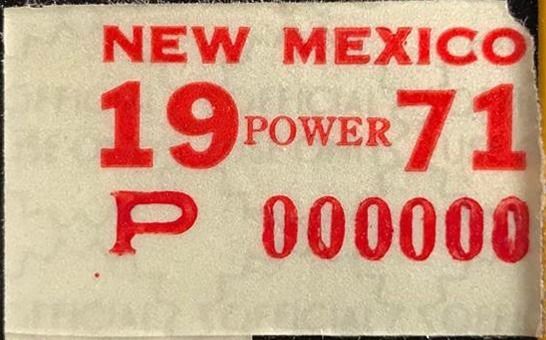 Photo Credits: Yellow and white backing plates and all stickers courtesy Eric Tanner, except: 1962 and 1963 Power courtesy Tom Allen; 1962 and 1963 Trailer, 1964 Tractor, 1965 Power courtesy Pete Madsen; 1971 Prorate Power courtesy Scott Christensen; 1960, 1966 and 1967 Trailer stickers, 1970 and 1972 Power stickers, and green and aluminum backing plates by Bill Johnston.